Foam control additive (defoaming): proven successful! During the production and application of paint systems, foam is an undesired side-effect of mixing, usually slowing production and making it difficult to fill vessels with the correct amount of paint, in addition to causing surface defects such as craters and weak points in the dried film. The most general definition of foam is a substance that is formed by trapping many gas bubbles in a liquid or solid. A foam is normally an extremely complex system consisting of polydisperse gas bubbles separated by draining films. In other words foam can be described as a stable dispersion of gas bubbles in a liquid medium. In pure liquids, foam is not stable. Foam is only stable in systems containing surfactants. Foam originates at various stages of production, such as pumping, stirring, dispersing, and also the application of a liquid paint, through the entrapment of air bubbles. The air-liquid interface of these bubbles is surrounded by the surface-active materials in the paint. 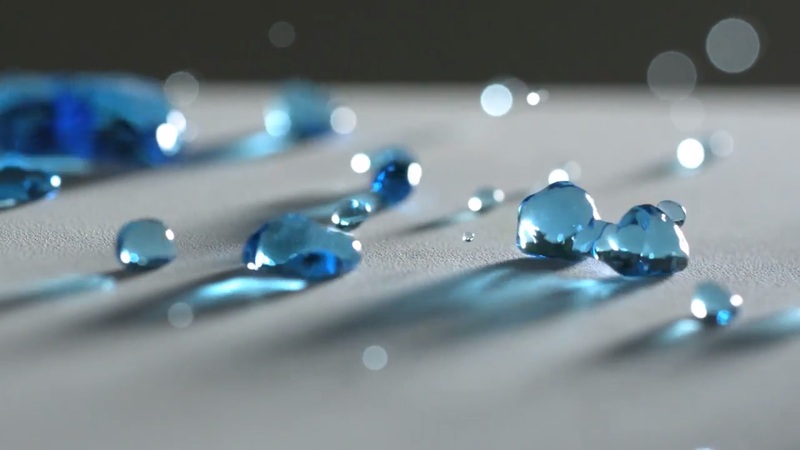 Due to the bubbles’ low density, they rise to the surface in low-viscosity paints. As the bubbles rise, smaller bubbles can combine to form larger bubbles which rise faster. At the surface, the bubbles accumulate and deform both the surface of the paint and themselves. The air cannot escape because a lamella is formed which is stabilized by the presence of surfactants. Without surfactants, drainage of the liquid would cause thinning of the lamella until breakage occurred. This process is called “drainage effect”and in pure liquids, will occur instantaneously.